Many teachers take pictures of their students on the first day of school... and I'm one of them! 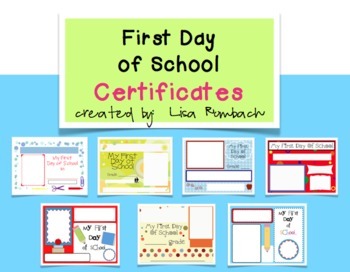 Attach that special photo to my First Day of School certificate and provide a special keepsake that parents and students will treasure! 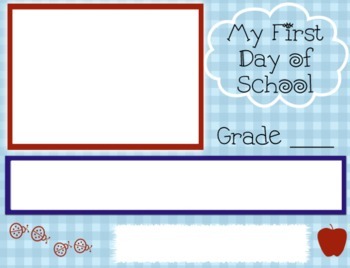 There are 5 versions included in the file and you can personalize each one by adding the student's name, the date, your school etc. 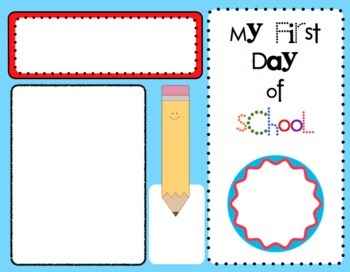 Document that first day with a special keepsake! *If you have previously purchased this product, please go to "my purchases" and re-download. I added 2 new bonus certificates to the file!